The “Out of Office” exhibition in the Museum für Konkrete Kunst in Ingolstadt takes the office as an emblem of modern society and its principles of organisation. In it, concrete artists see the office as a sign of regulation, order, administration, bureaucracy, dominance, and exercise of power. Bureaucratic tasks are marked by following regulations strictly and rigidly, in ways which are normally found in mathematical operations and religious rituals. Even today in this increasingly digitalised age, analogous aids such as sticky notes and rulers continue to be used and therefore are reconfigured by the artists as objects in new constellations. Kettenraktion [Chain Reaction] was a three-month, interdisciplinary art event in 2016, where more than 160 artists from twelve countries reflected on the history of the place through their work, positively transforming public awareness and perceptions of the nature of the industry of the former cellulose factory in Attisholz. 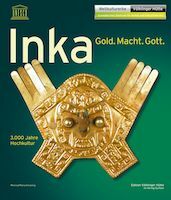 Inca – Gold. Power. God. The catalogue bears the same name as the exhibition of 220 items. The exhibition is on show at the Völklinger Hütte premises and provides an insight into the advanced 3000-year-old Peruvian culture of the Incas and their predecessors. The main exhibits include gold and metalwork, textiles and ceramics, which arrived in Europe in the 16th century following the Spanish conquest of South America. 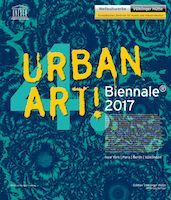 The exhibition runs until 26 November 2017. 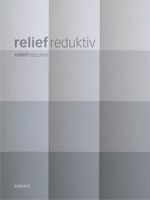 The catalogue is published in conjunction with the exhibition of the same name held at the Völklinger Hütte premises. 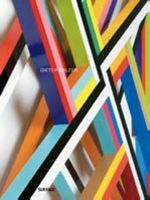 The 100,000 square-metre area is a UNESCO World Heritage site and is featuring 100 artists from 17 countries, with a regional focus on South America, and displaying projects by Christian Hinz, Monkey Bird, Okuda, Felipe Pantone and Reka, amongst others. Ein Logo sollte unverwechselbar, einfach wiederzuerkennen, aber dennoch variationsfähig und insbesondere zeitlos sein. Man könnte also sagen, es ist eine hohe Kunst, ein Logo zu entwerfen. Der konkrete Künstler als Logogestalter, dieser Beziehung geht der Kunstkatalog „LOGO. 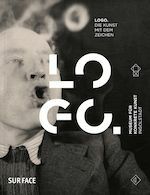 Die Kunst mit dem Zeichen“ zur gleichnamigen Ausstellung (23. Oktober 2016 bis 19. März 2017) im Museum für Konkrete Kunst Ingolstadt visuell und textlich aufgearbeitet nach. Darin wird die historische Entwicklung einzelner, bekannter Marken hervorgehoben, die die Abnahme von Schmuckelementen in den Logos deutlich macht, hin zu Eigenschaften, die wir auch aus der konkreten Kunst kennen: Grundformen, Signalfarben und formale Reduktion. Vertreten sind bekannte Logos und deren Gestalter, wie Karl Duschek für die Messe Frankfurt, Wolfgang Schmittel für Braun oder Kurt Weidemann für die Deutsche Bahn. 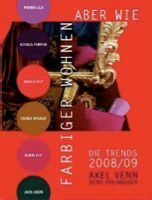 Darüber hinaus wird der Katalog durch aktuelle Texte und Interviews von und mit Kunsthistorikern, Kulturwissenschaftlern, Designern und Markengestaltern ergänzt. Gegliedert in die Abschnitte „Form“, „Farbe“ und „Wort und Bild“ stellt der Katalog das visuelle Thema beispielhaft und vielfältig dar. Das ganze Projekt ist aus der Intention heraus entstanden, Design und Konkrete Kunst zukünftig enger zusammenzubringen. The 100 most innovative surfaces for designers and planers, for architects and interior designers, for builders and interior decorators. In addition to “used look” and “vintage”, worn materials that have truly aged, such as reclaimed wood and bricks from demolition buildings, will be prominent themes in 2013. However, in many cases the historical models will be surpassed by new surfaces which appear equally original, hand-crafted, expertly made, natural and long-lasting. 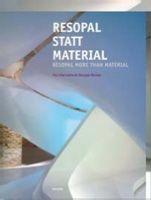 The International Surface Yearbook is illustrating and going along with the paradigm shift from material to surface and the dematerialisation of broad areas. 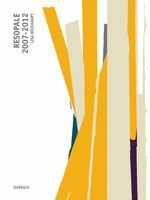 In the 2011 Yearbook visibly material authenticity sets aside the coolness of recent years. After high-gloss and technical perfection we now have face concrete, rough-sawn wood and hewn stone surfaces, making a trend towards unadorned honesty. The new surfaces are compelling material phenomena. In the age of progressing dematerialisation and virtualisation there is a real material, for some time already possessing the possibilities of the virtual world. If you look at Resopal from the design perspective, it is not a material, but an aesthetics technique. – An inspirational summary about exemplary objects and products, which were realised with Resopal. 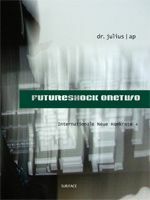 FutureShock OneTwo is dealing on one hand with the actual trends of the New Concrete, non-figurative art, on the other hand is focussing on its philosophical potential and its meaning for the society. 31 international artists present one piece of work each expressing their personal look out into the uncertain future. Lisa Weishaupts’ Resopal works are colour surfaces without structure, without texture. They are even. The Resopal material allows the colours to be entirely colour and the surfaces to be entirely surface. She works with Resopal, because „colour itself“ can be displayed here. With that the different forms and sizes of the intuitively composed tones and nuances will unlock or even activate the whole power and dynamic of the colours. 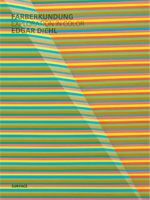 Introducing groups of work, mainly of the past four years, Edgar Diehl is addressing one central theme of concrete art and that is perception itself: the influence of light and light colours on the artwork, the effect of assimilation (Bezold-effect), the optical mix of colours, and the reversal of perspective. A new generation of reductively working artists is moving further within the mental creative space of concrete art. They don’t care much about theory but much more – with self-mockery and humour – about an artistic truth, about visual insight and pictorial conciseness. 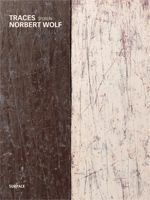 Traces“ is the connecting theme of Norbert Wolfs’ work of the last three decades. After the material collages of the eighties and his visual objects called „slabs“ of the nineties, the new module pictures, joined like building blocks, are called „scraps“ showing sculptural and pictural gestures in balance. Peter Kürpick took the pictures of his Business Memories between 2004 and 2007 with a Nokia mobile phone camera. With only 4.5 KB those photos were suffering – as with most of the mobile phone cameras of that time – from small optics and with that from a lack of definition. But through the use of the interpolated blow-up (150 x 110 cm) it led to the strange and historically unique aesthetic of this photo series. With the works of 14 artists, the Berlin based gallery owner Matthias Seidel (dr. julius | ap) provides a cross-section of contemporary concrete, non-representational, geometric and reductive art, architecture and architectural photography. Serial-systematic generation of compositions from consciously reduced computer programmes and just a few colours and textures. The result is not at all limited in number but never looks coincidental or individual. In the work of Dieter Balzer, the colour counteracts the form, it assists in its formulation but subversively decomposes it at the same time. Material and colours become plastic along the hard HPL edge, and otherwise purely functional rooms become minimalistic art living rooms. How macro-photographed materiality becomes ornamental. 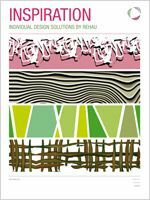 A surface decor not imitating wood but translating it into new natural forms. Without its decor surface-layer Resopal also ages, yet it does not really age. It only ages optically. 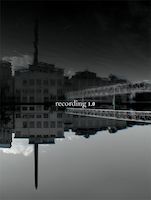 A book about the multi-faceted aesthetics of Resopal purely. 300-page flipbooks with approx. 250 full-page photos showing Darmstadt’s cultural assets that are equally well-known and so far overlooked. Subscribe at a preferential price and become a co-editor. With city’s wealth of attractions, appeal and familiarity. The h_da ranks amongst the largest and most recognized Universities of Applied Sciences in Germany. This photo flip book provides insights from the outside being exited by its variety and quite different locations. Apart from the relevant study information it comprises many essays and 270 picture pages. Die derzeitige Flüchtlingskrise ist eine abstrakte und menschliche Situation. 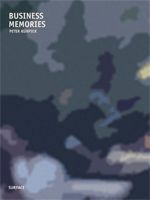 Dieses Buch gibt den Geflüchteten aus Afghanistan, Syrien oder Eritrea sowie den Helfern aus Verwaltung, Orga­ni­sationen und der gesamten Darmstädter Zivilgesellschaft ein Gesicht. Über ihr Roadbook erfahren Rallye-Teilnehmer, wo sie entlang fahren sollen. Dieses ROADBOOK ist ein Bildbericht über die Internationale Nibelungenfahrt, die alle zwei Jahre Ende April statt­fin­dende Oldtimer-Rallye mit an­schließen­dem Oldtimer­treff des Eberstädter Renn- und Touring-Clubs RTCE im Jahr seines 50jährigen Bestehens 2014. Am 25. März 1945 befreite die US Army Darmstadt vom Nationalsozialismus und blieb 63 Jahre mit zeitweise 11.000 Soldaten. 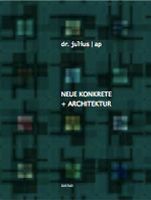 Das Buch versucht die Ge­schich­te(n) des Mit- und Nebeneinanders und die Bilder der inzwischen verwaisten Kasernen und Wohnsiedlungen zu bewahren. Die historisch verbürgte Mischung aus Zier- und Nutzpflanzen macht den Prinz-Georg-Garten einzigartig und zusammen mit seiner Ausstattung zu einem Gartendenkmal höchsten Ranges. Ein Buch über Garten- und Porzellankunst. Der Hochzeitsturm, Darmstadts Wahrzeichen auf der Mathildenhöhe aus der Ära des Jugendstils, ist Gegenstand Paul-Hermann Gruners traumhafter Kurzgeschichte „La Tour du Mariage“ und heute ein Meilenstein der Architekturmoderne auf dem Weg zum Weltkulturerbe. Kinder nutzen den Stadtraum und sehen ihre Umwelt auf andere, eben kindliche Art. Die aufschlussreichen Sichtweisen und Einsichten dieses Buches wurden Grundlage jüngster Magistratsbeschlüsse zur Stadtgestaltung. Die Fotos von Werner Kumpf und Leo Weisse von der Deutschlandreise Andy Warhols im Frühjahr 1971 und seines Besuchs des Hessischen Landesmuseum in Darmstadt zeigen den Künstler als einen genialen Beobachter und Analytiker der Wirklichkeit. Bessungen ist kein Stadtteil, Bessungen ist eine Welt. Hier ist der Darmstädter Mensch, hier darf und soll er’s sein. Über das Lebensgefühl in Darmstadts Trendviertel mit Einblicken in seine bisher noch unentdeckten Winkel. Eds. Heimatverein Darmstädter Heiner e.V. 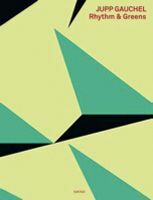 Solution-oriented counselling in theory and practice. Methodical tools are provided by reference to actual case studies from psycho-social practice. Surface Book will handle everything for you – concept, costing and complete production of your corporate publications in our standard publishing formats and qualities 23 x 30.2 cm (large format), 14.3 x 12 cm (flipbook) and 12 x 20.5 cm (paperback). Subject to thematic proximity, we would be pleased to include your book in our publishing programme on request. Accessories und gift articles that derive their unique character from the surface – discovered during the development of Surface Book or in the marketplace. We also welcome your ideas and products. 320-seitige Flipbooks mit ca. 250 Bildseiten möchten die verborgene und übersehene Schönheit und Lebensqualität des ländlichen Hessens ans Licht bringen und damit den vernachlässigten ländlichen Raum ein­schließ­lich des wissenschaftlichen Diskurses darüber unterstützen. Über 800 Jahre gaben Mühlen und Bauernhöfe Hambach seine Identität. Heute gibt es nur noch Spuren davon. In der 250 Seiten langen Bildstrecke mit den verbliebenen Resten und Ruinen scheint sie noch einmal auf. Die bild­nerische Verdichtung könnte einen auf die Idee bringen, künftig gerade dieses Wilde zu kultivieren. With the Elbphilharmonie Hamburg not only got a new landmark, but also the harbour's bustling conglomeration got an orientation point.Its fasade constantly creates new visual effects, one could almost beleave there are several Elbe Philharmonics. The flipbook shows them on 320 picture pages. Subject to thematic proximity, we would be pleased to include your book in our list of publications on request.